We have conducted a YouTube + Instagram Giveaway in August in association with Biotique India. It was heartening to see your lovely participation. We have shortlisted 8 contestants on basis of the overall participation, adherence to the rules and additional efforts. And after a lot of brainstorming, followed by a randomizer method to pick 4 final names, we have finally got our winners for this contest. We really thank you all for your participation. Wish we had more than 4 prizes. 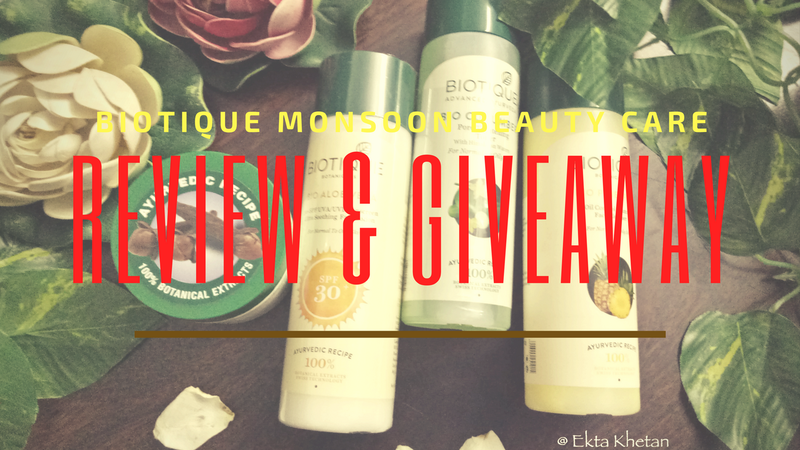 Nevertheless, we have more contest/giveaway coming up on my blog/social media channels so stay tuned. A quick word to those who participated and could not make to final 4- do not worry as we have more exciting contests coming up and your continued support will be counted and merited! Congratulations winners! You played well and it is time to merit your participation. Kindly send me a mail with a subject line of " Your Name: BiotiqueXEktaKhetan Giveaway Winner". 3) ID proof to ensure that we send the prize to the right person. Kindly note: In case if we do not find your subscription details, your prize will be passed to the next eligible winner. So ensure that you share your subscription details. Stay Awesome and stay tuned. Lots of fun and interesting come up.